Believe in the spirit of friendship, the strength of family and the power of hope when “Dolphin Tale 2” arrives onto Blu-ray Combo Pack, DVD and Digital HD on December 9 from Warner Bros. Home Entertainment. Charles Martin Smith, who directed “Dolphin Tale,” wrote and directed the sequel that was inspired by another true story about the world’s most extraordinary dolphin Winter. 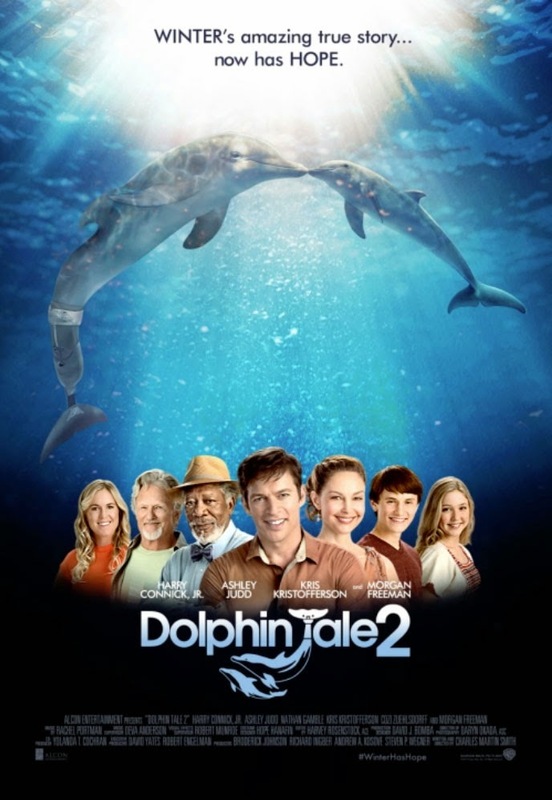 “Dolphin Tale 2” reunites the entire main cast, led by Harry Connick, Jr. as Dr. Clay Haskett; Nathan Gamble as Sawyer Nelson; Ashley Judd as Sawyer’s mom, Lorraine; Kris Kristofferson as Clay’s father, Reed; Cozi Zuehlsdorff as Clay’s teenage daughter, Hazel; Austin Stowell as Sawyer’s cousin, Kyle; Austin Highsmith as Winter’s lead trainer, Phoebe; and Oscar® winner Morgan Freeman (“Million Dollar Baby”) as Dr. Cameron McCarthy. The film also features Bethany Hamilton as herself. “Dolphin Tale 2 is produced by Oscar® nominees Andrew A. Kosove and Broderick Johnson (“The Blind Side”), together with Alcon President of Worldwide Marketing, Richard Ingber, and Steven P. Wegner. David Yates and Robert Engelman served as executive producers. “Dolphin Tale 2” will be available on Blu-ray Combo Pack for $35.99 and includes the film in high definition on Blu-ray disc, a DVD, and a digital version of the movie in Digital HD with UltraViolet. 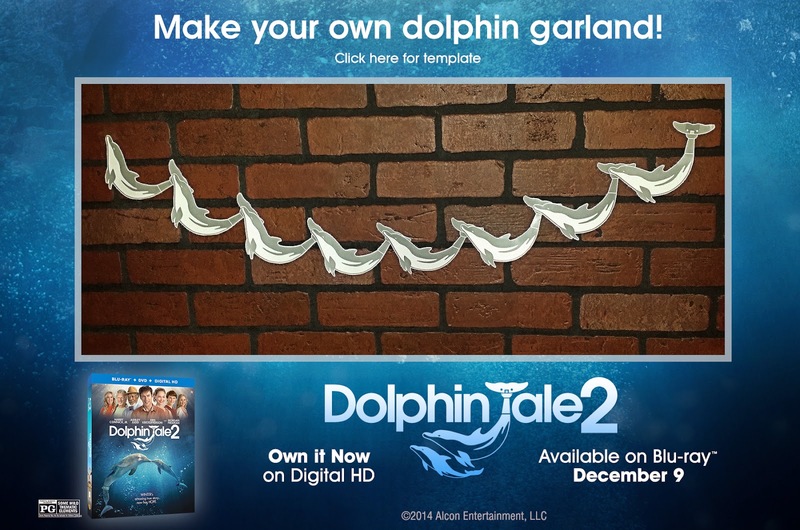 Fans can also own “Dolphin Tale 2” via purchase from digital retailers. The inspiring true story of Winter isn’t over. Several years after receiving a prosthetic tail, Winter loses her surrogate mother, leaving her alone, grieving and unwilling to engage with anyone, even her best human friend, Sawyer. Worse, she may have to be moved from her home at the aquarium due to regulations requiring dolphins to be paired. When Dr. Clay Haskett and his dedicated team can’t find her a companion, it looks like they may lose their beloved Winter...until an unexpected turn of events brings them Hope. DOLPHIN TALE 2 makes for a perfect stocking stuffer for the kids!